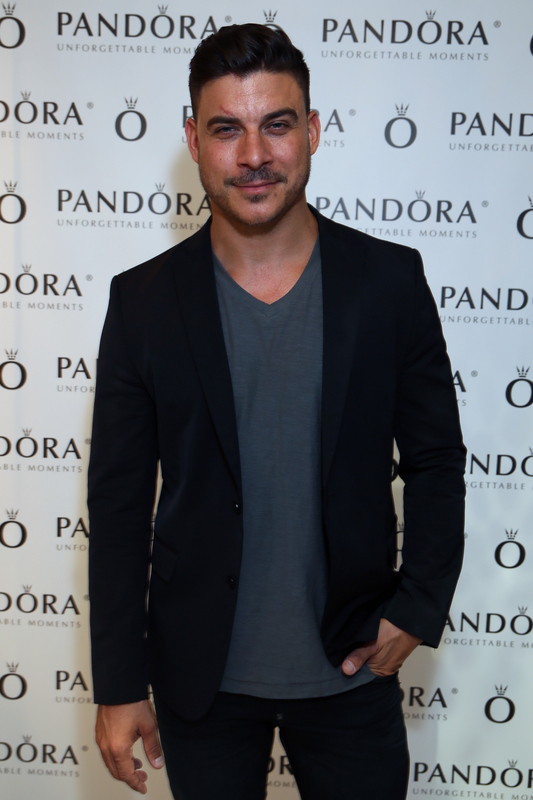 How Many Tattoos Does 'Vanderpump Rules' Jax Taylor Have & Are They All of Ex's Names? He of the vaguely leonine face Jax Taylor loves nothing more than a casual trip to the tattoo-ery. Well, maybe the Vanderpump Rules star enjoys attention and a good destructive boy’s night out just as much as some casual ink, but it’s safe to say that body art is high on his short list of favorite things — it's right behind "babes" and "his own reflection." Come to think of it, how many tattoos does Jax Taylor have? Let’s start with the ones we know of. Obviously, there’s the Stassi tattoo — a bad enough idea to become a long-term storyline, starting in Season 2 and extending into Season 3 when he got the ink covered up with a black rose (UUUUGH, the worst). All of our friends from SUR are destined to repeat the same tragic errors again and again, so Jax went skipping on back to the tattoo parlor the very next time he fell in love with a blonde and got a Carmen tattoo. GREAT IDEA! Then, surprise surprise, Jax and Carmen broke up too. Raise your hand if you couldn't see that coming from about 500 miles away. Now, if you did raise your hand, immediately put it down and don’t tell anyone ever that you just admitted to that. Aside from ill-advised girlfriend tattoos, we know Jax has a few other skin-sketches adding to his whole self-conscious bad boy steez. While he hasn’t ever gone on record to give an exact tally, we see the other less-relevant-to-his-plot tattoos cropping up here and there. Let’s try to count ‘em up, shall we? I wish I could tell what this is, but it's hard to confirm exactly. To me, it looks like some sort of illustration from a Game of Thrones poster, like a wheel of swords or crow's wings. Whatever it is, it used to be this mortifying tribal tattoo. At least, it looks like a crest... We know, for sure, that it adds to the sleeve he appears to be working on. To cover up the aforementioned Stassi tattoo... We all remember the one. A Braveheart reference, perhaps? You can catch a glimpse at the tat (across his back, from shoulder to shoulder) in this "Times Jax Takes His Shirt Off" video — you're welcome. Hey, at least it was on the opposite bicep of the Stassi tattoo. I think. Not including the tattoos he's covered up, I can make an educated guesstimate of at least six tattoos on Jax Taylor's person. Then again, I cannot confirm with total certainty. After all, his body art philosophy would probably prevent him from telling me outright. Tell us how you really feel, buddy.